I played around with blending inks this past Friday to make some fun cards with some of the new products offered in the NEW CTMH Seasonal Expressions catalog. I tend to go in spurts of things/techniques I like to play with. So you will likely be seeing more cards from me over the next little while using this technique. On the background circle (White Daisy cardstock), I blended Lagoon, Sapphire and Pacifica inks with seperate sponges. The whitish splatters are from blending a little Pearl paint (long retired) mixed with water, and dipping my small paintbrush into it, then tapping the brush handle against the edge of my finger just above the cardstock piece. 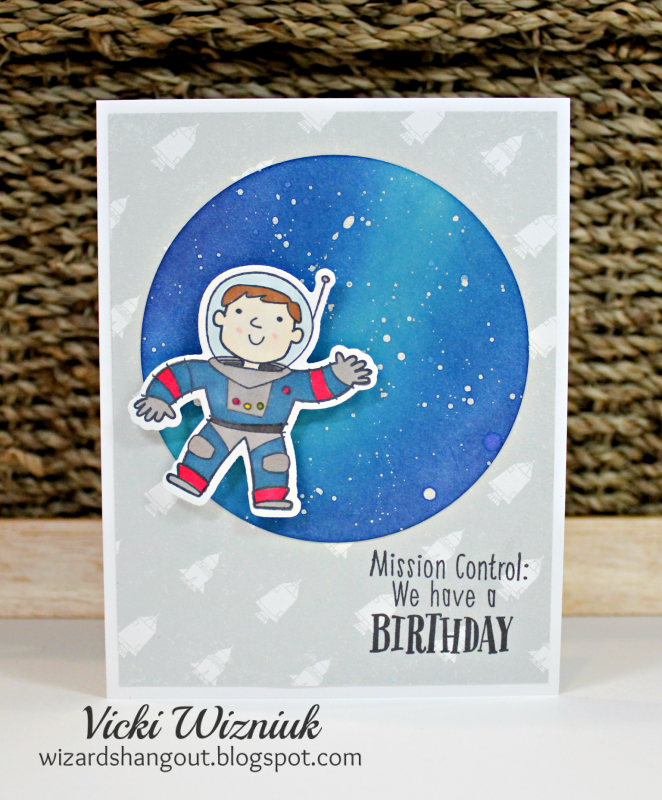 The adorable little spaceman on my card is from a brand NEW set called Stargazer Cardmaking stamp set. It is also available to purchase along with the matching Thin Cuts Dies. 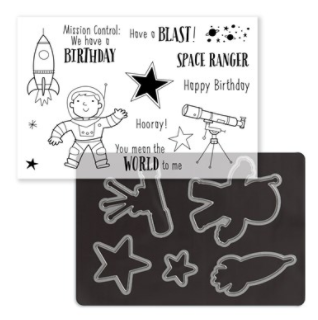 The spaceship paper is from the NEW Stargazer Paper Packet. 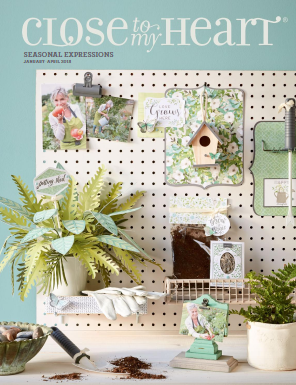 And this is the NEW Seasonal Expressions catalog! So much fun packed into a little catalog!